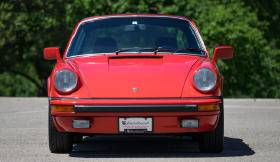 I'm interested in the 1979 Porsche 911 SC you have listed on ExoticCarList.com for $39,900. I would like to know more about this vehicle. 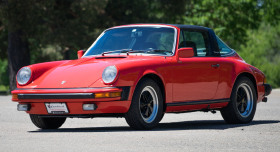 Porsche’s venerable 911 series really hit its stride with the introduction of the 3.0 SC model in 1978. The new engine solved the stud-pulling issues and persistent oil leaks of the previous magnesium cases, plus it was more powerful. The A/C system was much better and the entire car took big steps forward in drivability and reliability. The Targa model combines coupe-like solidity and convertible breezes without the complexity of a power top. This low-mileage example has a spotless California history, with no salt exposure or accident issues. It’s a numbers-matching car with all of its owner’s books and trunk equipment, that has been painted once in the original Guards Red.The optional leather upholstery is in great condition along with the entire interior. It has factory A/C and a modern stereo receiver that fits the DIN housing. Sitting on Fuchs wheels and new tires, the car remains at its correct ride height, too. The odometer has just clicked over 99,999 and those miles are believed to be correct. Best of all, the car was thoroughly overhauled mechanically just a few hundred miles ago, including a complete upper-end engine overhaul, clutch & flywheel set, injectors and all ignition components plus new calipers and pads all around. We say it time and time again: buy a car that someone else has just spent a lot of money on, and you have a bargain!